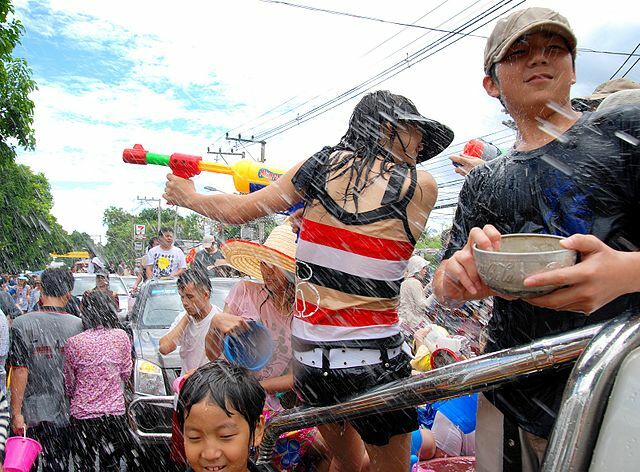 Songkran – the worlds biggest water fight. Imagine millions of people racing around a city armed to the teeth with super-soakers, water bombs and hosepipes – each with one sole purpose in mind: to saturate every single human being they encounter. Welcome to Songkran in Bangkok. Celebrated between the 13th – 15th April, Songkran is the traditional Thai New Year and takes place at a time when temperatures in Thailand reach their peak – in Bangkok the mercury regularly hits 95°F. For over three days, a variety of festivities and religious ceremonies take place, including the offering of food to monks at the local wat or monastery. But without doubt, the big event is the massive water fight that engulfs the country. The act of dousing everyone in sight is actually a ritual based on the idea that bad luck and misfortune are symbolically washed away. Of course in the dripping heat of April, this mammoth water fight also comes as a pretty welcome relief from the sweltering heat. Do you want to get wet? During this national holiday, many locals actually leave Bangkok and head up country to see far-flung family, but in no way does this dampen the mood in the capital. In many areas, the city’s famously clogged streets shudder to a complete standstill as thousands of people hurl themselves into the madness. Smiling Assassins launch water bombs from shop windows. Giggling kids parade the streets with water pistols looking to drench anyone that falls between their crosshairs. And people pile into the back of pick-up trucks loaded with water tanks and proceed to hurl bucket after bucket at anything that moves. Or doesn’t move for that matter. If you’re outdoors, it’s virtually impossible to escape getting thoroughly soaked. Basically, if you choose to step outside for a nanosecond, consider yourself a fully-fledged Songkran participant. Even people driving past on motorbikes are considered fair game, so if you head to Bangkok and choose to rent a bike, it’s worth bearing in mind you might find yourself a sitting duck. After three days, pretty much every man, woman and child in the city is left dripping wet. So if you’re heading to Bangkok during Songkran, come prepared – light clothes, goggles and perhaps a snorkel will serve you well. 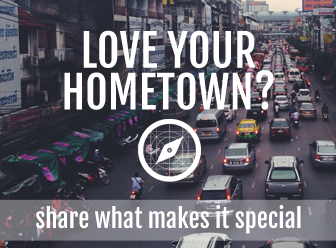 Richard Holmes is a travel writer and blogger living in Bangkok. 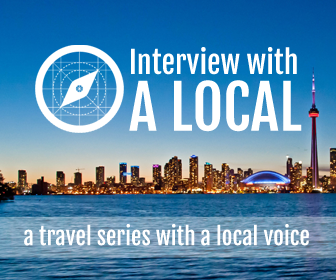 He’s traveled extensively throughout Southeast Asia and continues to explore and write about this fascinating part of the world. His passion for Thai food has led to him experiencing some of the country’s best restaurants, and its equally world class street food. Bangkok during Songkran is madness, mayhem and so much crazy fun. We did not plan to be in Thailand during the soak-filled celebration. Happenstance rained this on us. It enhanced our visit greatly, in the markets, down the river, everywhere we went.